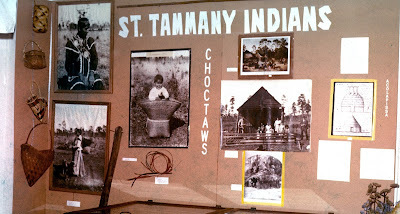 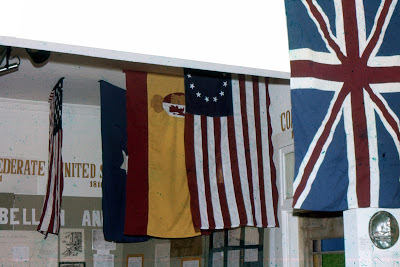 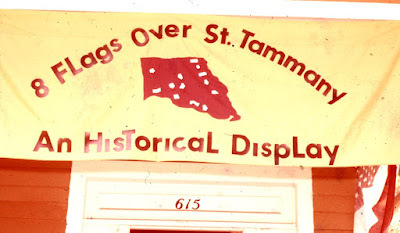 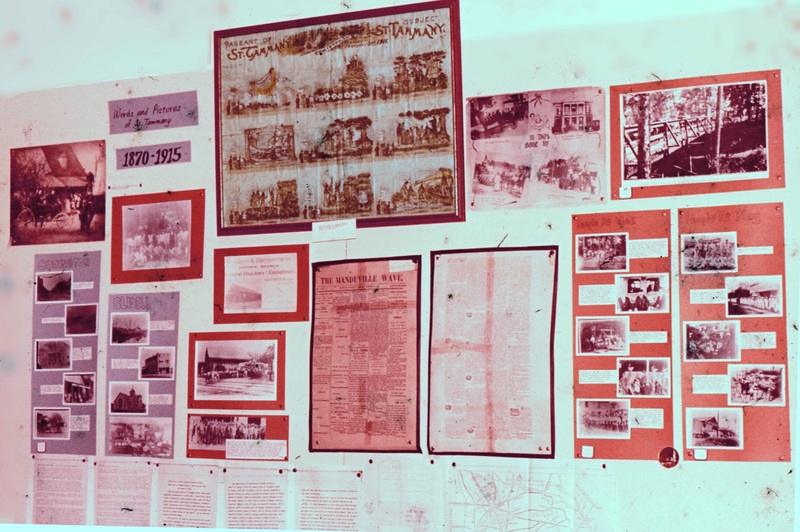 In May of 1976, an historical exhibit called "Eight Flags Over St. Tammany" was held at the St. Tammany Art Association building in Covington in connection with the American Bicentennial. 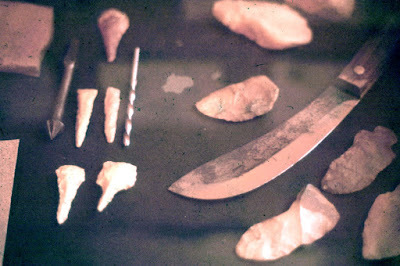 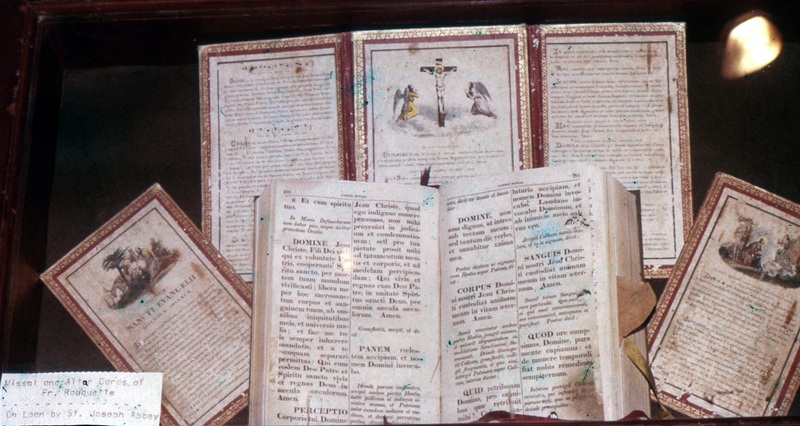 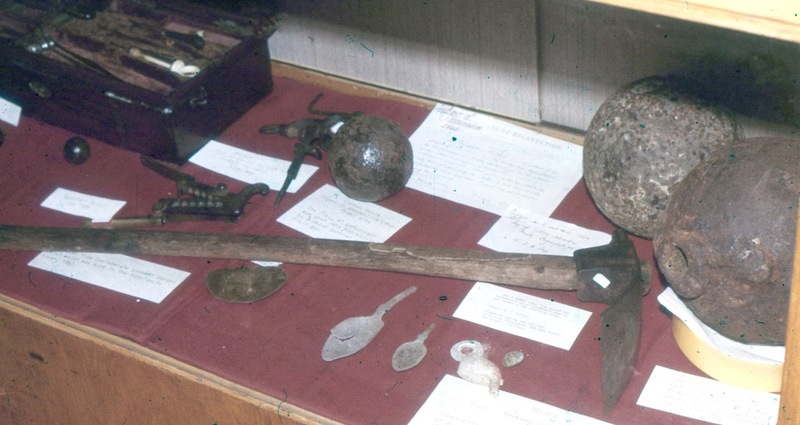 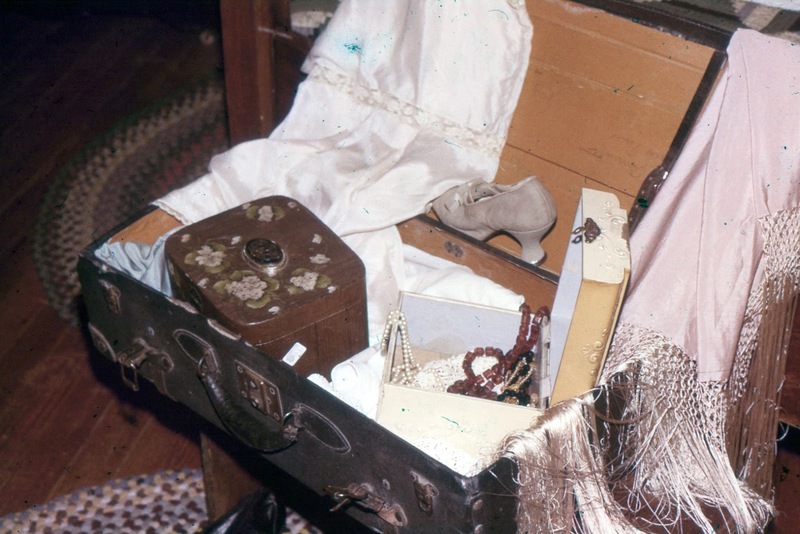 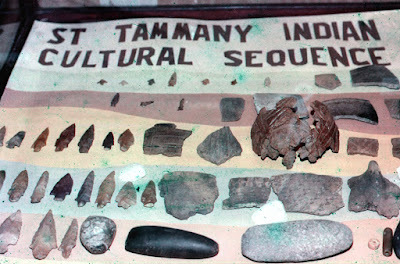 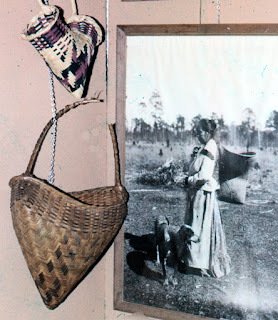 It featured numerous exhibits on the geological history of the area as well as the cultural history. 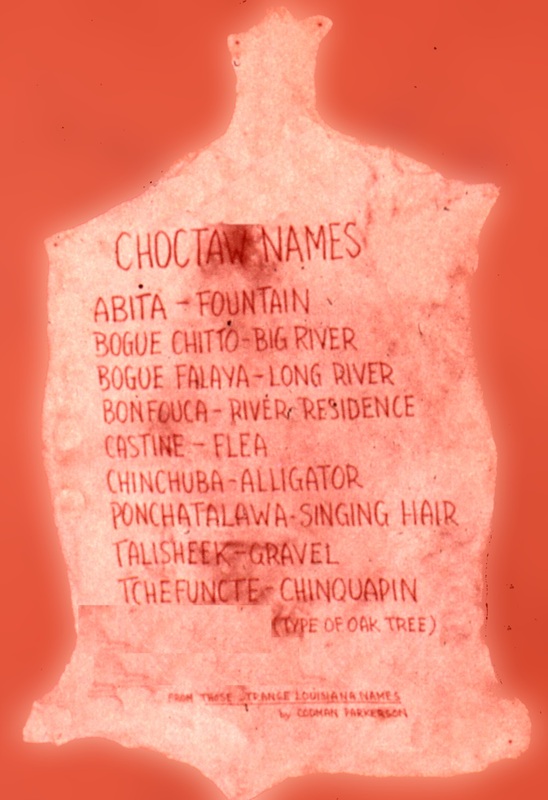 Pitch and tar were produced in St. Tammany Parish as early as 1732 by Claude Vignon called Lacombe and Bertrand Jaffre, called La Liberte. Manufacture of these products continued until the mid 1930's when the last of the pitch pines were cut. 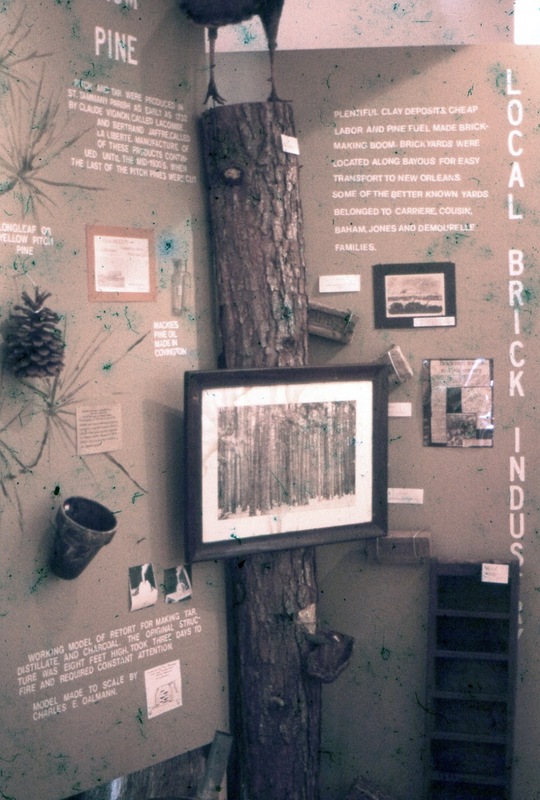 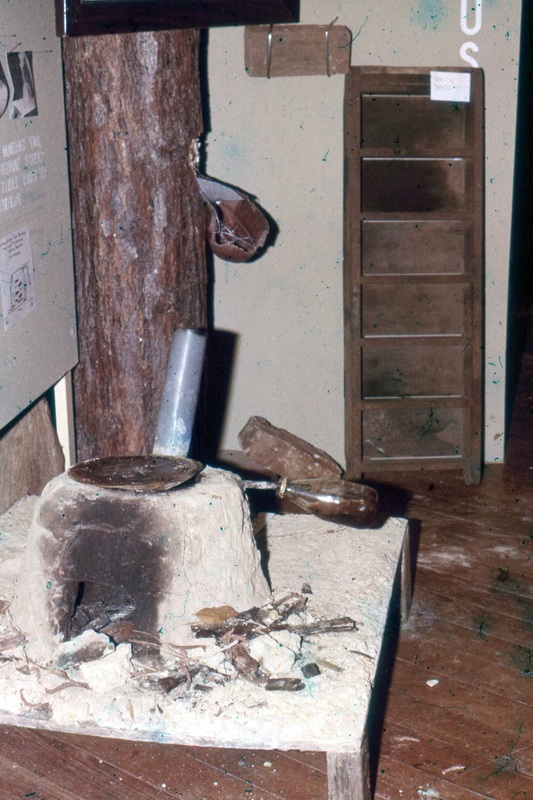 Plentiful clay deposits, cheap labor and pine fuel made brick-making boom. Brick yards were located along bayous for easy transport to New Orleans. 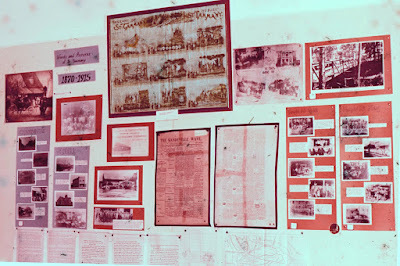 Some of the better known yards belonged to Carriere, Cousin, Baham, Jones and Demourelle families. 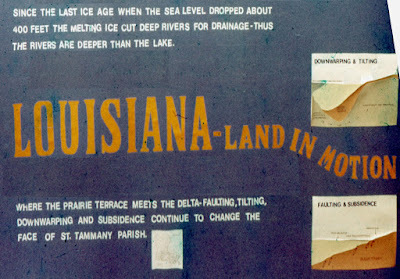 A model of The Lake Pontchartrain Skiff can be seen on the right side of the above photograph. 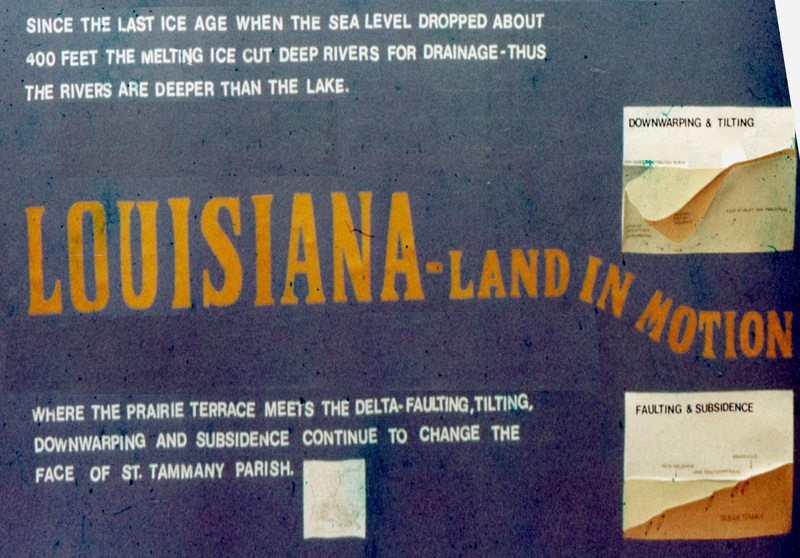 This recognized regional craft was specifically designed to suit the wave action of shallow Lake Pontchartrain. 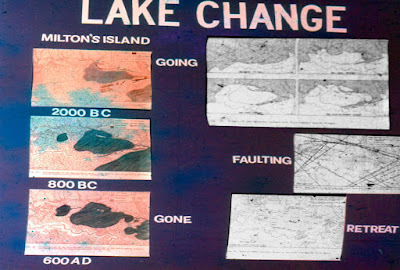 They were designed to ease the rowing in short waves found in the lake. The lake skiff evolved to its present form for the following reasons: the curvature of the profile fits the curve of the trough from wave to wave, and the curve of the bottom ribs, called the crown, reduces the point of impact with the oncoming wave to a smaller area at a given moment. 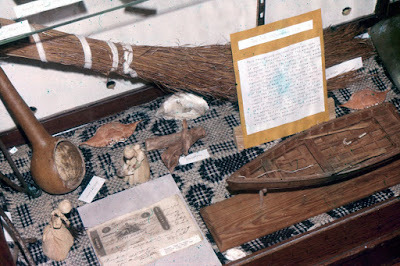 The keels on the front and the back ends of the skiff, called skegs, keep the skiff straight in a crosswind and into the waves, also. The design has been altered to fit outboard motors. The best skiffs were built of cypress with a mulberry stempost.